July 02. 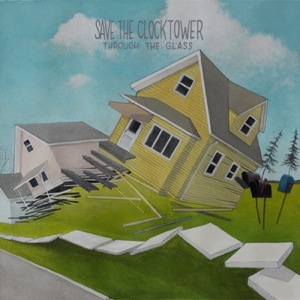 2012 | By Valerie C.
This week Greg Newton, Sean Paras, Jimmy Shenk, and Chris Newton, who comprise Chicago’s electro-pop quartet Save The Clocktower, release their latest LP, Through The Glass, for your auricular consumption. Save The Clocktower’s latest offering is ripe with highly accessible tunes. With tracks like the dream-pop ditty “Feeling”, distinctly indie-rock flavored “Tunnels In Time”, synth-laced charmer “I Know I’d Feel The Same” and electronica infused “What If?”, the band’s new record is sure to appeal to many. Stand out tracks include down tempo dipped “Better Than Ever” and the wonderfully catchy electro-pop ease of “Like That”, perfectly suited to be the first single off the album. Although Save The Clocktower doesn’t break any new ground here, that’s quite alright. Through The Glass is gratifyingly full of indie-pop rooted melodies imbued with enough electro sensibilities that make for an enjoyable record to unwind to.